“What Steve does on the good side — like the music scenario [in which] we didn’t bring just a music device called the iPod, we brought a whole music system: a store that sells it, a computer that manages and organizes it. And an iPod is just a satellite to your computer. Plug it in and it works. You don’t have to do anything. “You’ve got to admire Steve for that kind of thinking. I’m in tears as I write this. 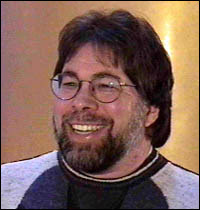 Woz, I love you too, man. I truly do. Folks please read the entire article. It’s a gem. Except the parts where Woz says the company has changed and we put too much emphasis on making products look cool. That part you can just skip right over.